My daughter’s journey of trying to make macarons must have started a few years back, not really able to recollect when. And it started with trying to figure out an egg-substitute. For the uninitiated, making macarons (with egg-whites) is an art, and an extremely delicate one at that which requires perfect technique. A small error in any of the steps and you are left with various variants of end product which bears no resemblance whatsoever to a macaron. With an egg-substitute, I think it becomes tougher by a several orders of magnitude. I am not sure exactly when she stumbled onto aquafaba – the viscous water in which legume seeds such as chickpeas have been cooked. 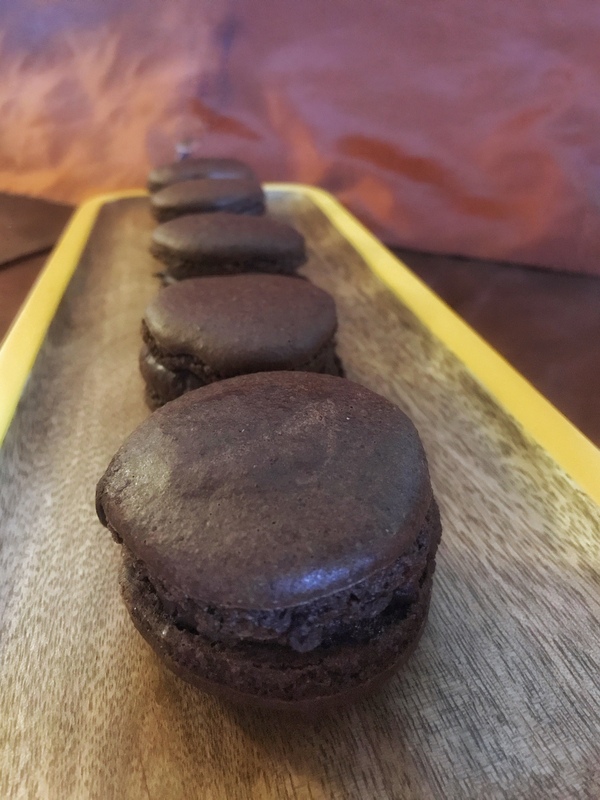 Due to its ability to mimic functional properties of egg whites in cooking, aquafaba is probably the only egg-white substitute that can be used in making macarons. Thinking back, I reckon that the obsession with making macarons without any egg led her to stumble on this. Once she did, that project would consume her during weekend. Which meant that chole-chawal became quite a common meal at home. On her 23rd complete attempt (counted as ones in which she reached step 3 macaronage) this week she has nailed it. A slight crunchiness at the edges with a chewy center and a well formed shell these macarons were absolutely delightful to taste. Bravo! !